The Dendera Light is a depiction on a stone relief at the Hathor Temple, located at the Upper Egyptian temple complex of Dendera. 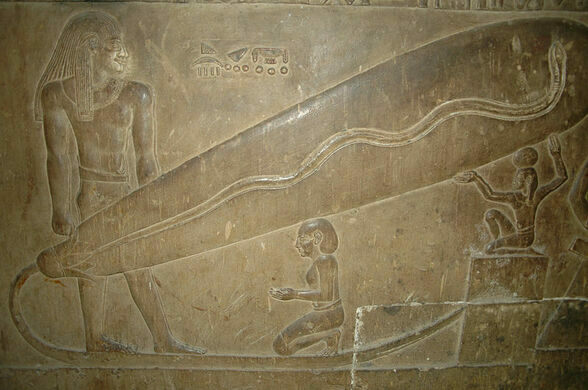 It has been a major source of controversy in Egyptian history, since many fringe historians interpret the depiction as evidence of a modern lighting system similar in appearance to a Crookes tube. Among those who share this view is the controversial Swiss pseudo-archaeologist Erich von Däniken. Supporters of this theory claim that electrical light would give an explanation to the absence of lampblack deposits in many discovered tombs. 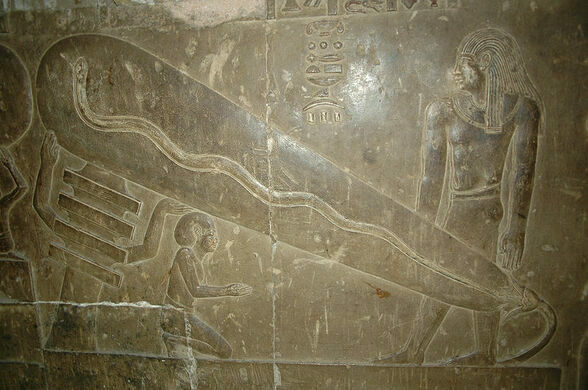 The Dendera Light is often used in a similar context as the “Baghdad Battery,” in the assumption, that ancient cultures were much more advanced than we believe today. The mainstream view among Egyptologists, interprets the reliefs as a combination of a Lotus flower, a Djed pillar (a symbol of stability, symbolised by the outstretched arms), and a snake rising from the flower through the womb of Nut. 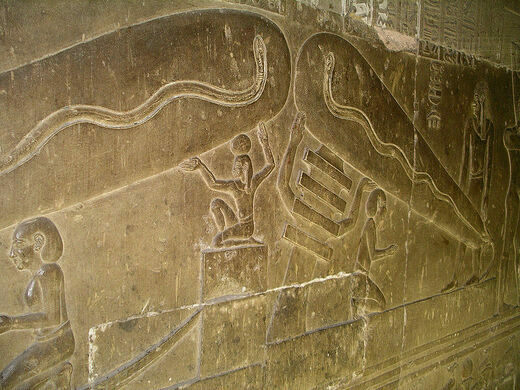 Inscriptions around the “Dendera Light” support this view, since these reference the rising sun, which will spring out of a lotus flower in the shape of the snake god Semataui. According to Egyptologists, the bulb-like structure represents the womb of Nut, the goddess of the sky, which is also a common depiction for the night. Thus, the relief might show the rising sun making its way through the night. Despite the proof against electrical technology in ancient Egypt, the reliefs continue to stir up controversy as pseudo-scientists attempt to cling to any proof of advanced technological inventions in ancient peoples. Note this entry shows several pictures of only one of five scenes containing the bulbs. Collective dedicated to restoring steam engines. 17th-century tradition of public weighing is met with boos or cheers depending on the Mayor's weight.